Commercial real estate marketing has evolved during the last decade. 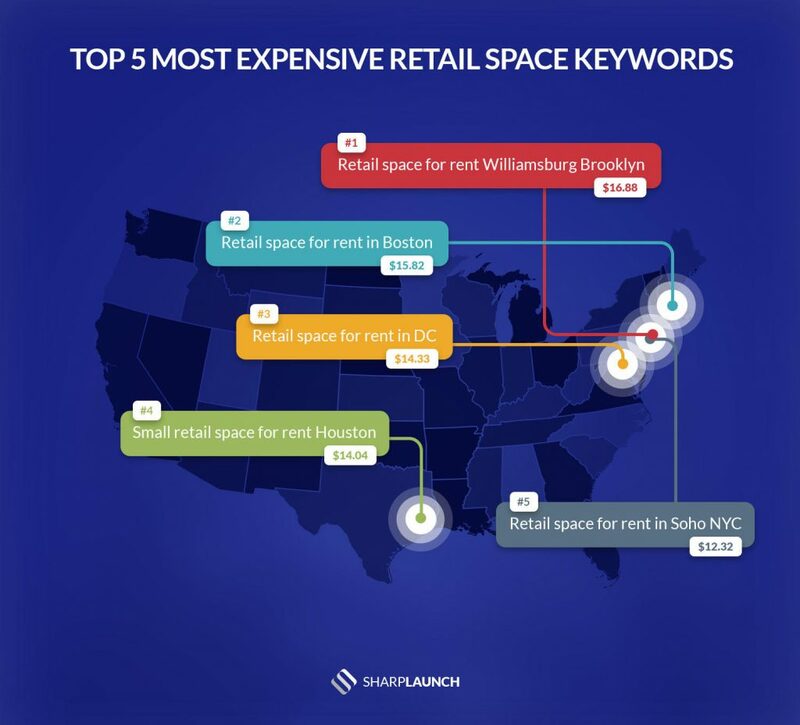 Today, over 86% of tenants and investors are reportedly using the internet for finding information about commercial real estate and make lease and purchase decisions, so implementing an effective digital strategy is crucial to increasing the success for marketing your commercial real estate. Below is a list of 16 unique commercial real estate marketing ideas that can work for any type of commercial property. You can also download a bundle of commercial real estate marketing templates to help you plan, implement and successfully measure your marketing strategy. Bonus: Download a free commercial real estate marketing strategy template + 4 additional Excel templates. What is a real estate marketing plan (and why do you need one)? A real estate marketing plan provides a comprehensive overview of your overall mission, unique selling point, target audience, strategy and metrics you’ll measure success on. Earned Media – Includes marketing activities that you typically “earn” by advocates of your brand and include free channels such as SEO, Social Media. Paid Media – Refers to any performance-based channels or paid advertising like cost-per-click, banners, remarketing and paid promotions. Owned Media – Typically includes your own media assets such as your websites, blogs, social media profiles and email marketing lists. This marketing mix should be distributed across different channels to help mitigate any downside risk in the case things don’t work in a specific marketing area. Your company website is often times the first impression you give a potential client and a key factor to instill trust and confidence to prospects. It can also serve as an important marketing outlet allowing you to feature company news, demonstrate thought leadership through blog posts and research studies, and promote your properties. In 2019, if you don’t have a strong digital footprint for your properties then your competitors are going to eat your lunch. Creating a property website for your properties is a big step beyond a simple listing page on a company website or CRE portal. 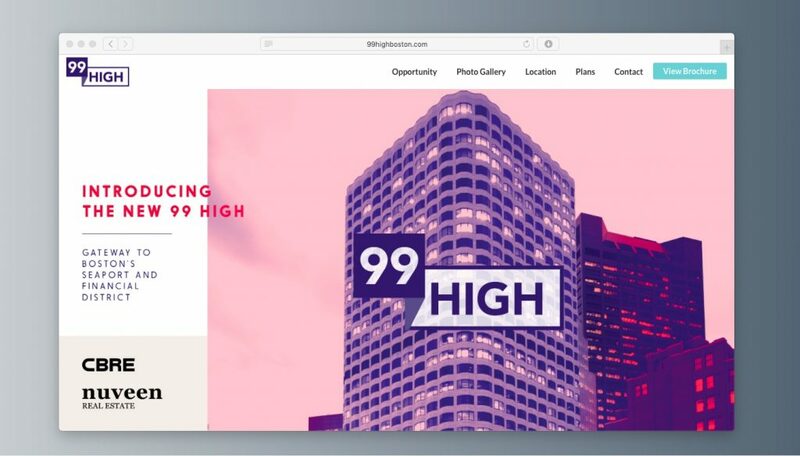 It not only serves as a digital hub for your property marketing efforts, but can also add “wow” factor to help engage and convert visitors much more effectively. An effective email marketing strategy is one of the most cost effective strategies to reach prospects, engage them in conversations, and convert them into deals. Building and segmenting a database of potential prospects for sending targeted email communications is one of the single most important marketing activities you can do to help fuel your sales or leasing efforts. There are plenty of ways to start building your through your website, blogs and lead capture pages. 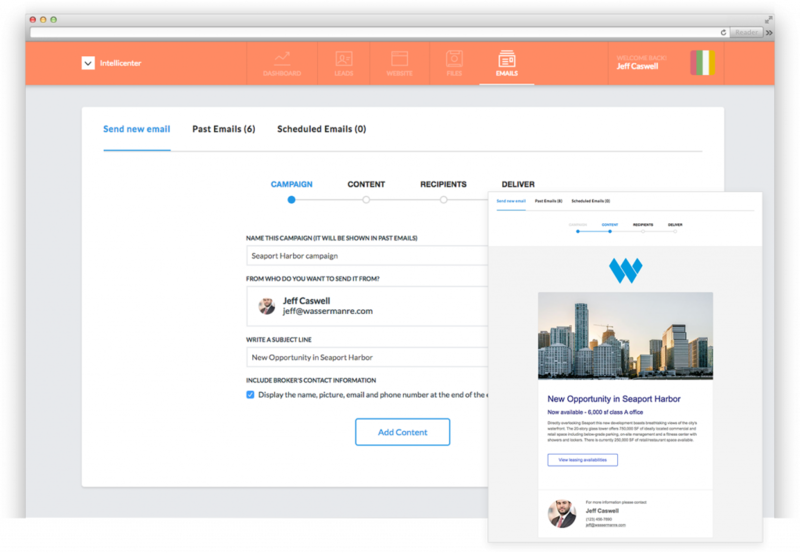 Whether you use a commercial real estate CRM, an email marketing platform or simply store your contacts manually, make sure you have a game plan in place to grow and nurture your user base. Advertising your listings on commercial real estate portals is an effective way to generate visibility in front of a very highly relevant and targeted audience. 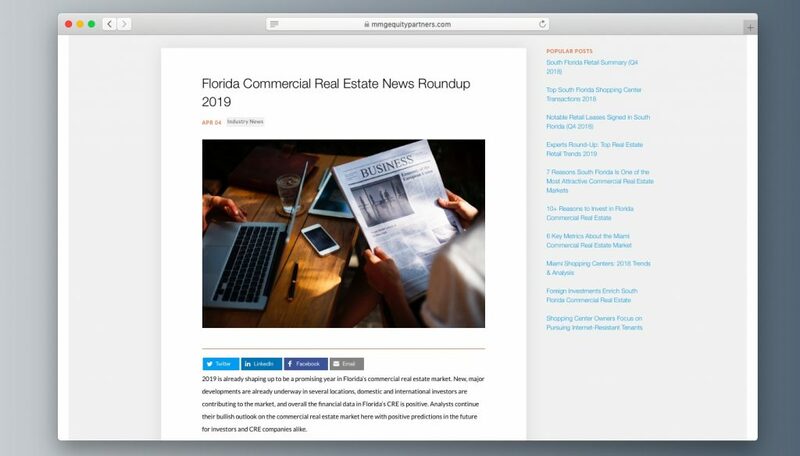 Besides Costar and LoopNet there are several other alternative CRE listing websites worth considering to promote your properties and drive leads. Content marketing is one of the key tactics to stay top of mind and nurture your prospects until they are ready to actively engage with your business. However, not many commercial real estate companies know where to start or what to do. The key to content marketing is this: don’t just be part of the noise. Create high-quality content that is useful, relevant or entertaining. This can be done in many different ways including blog posts, studies, infographics and videos. Make sure you develop a SEO plan as early as possible. 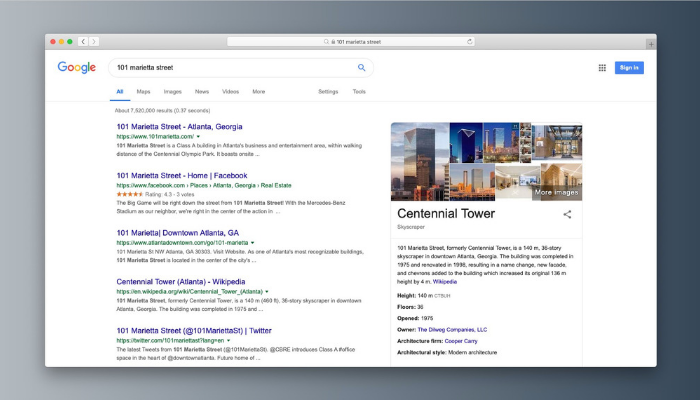 Visibility from search engines can have a powerful impact for your business and help drive tenants, brokers and investors to your website. However, SEO is a long-term process and requires can take months to start seeing impact. Social media marketing is free and an effective way to build brand awareness and drive eyeballs to your website. 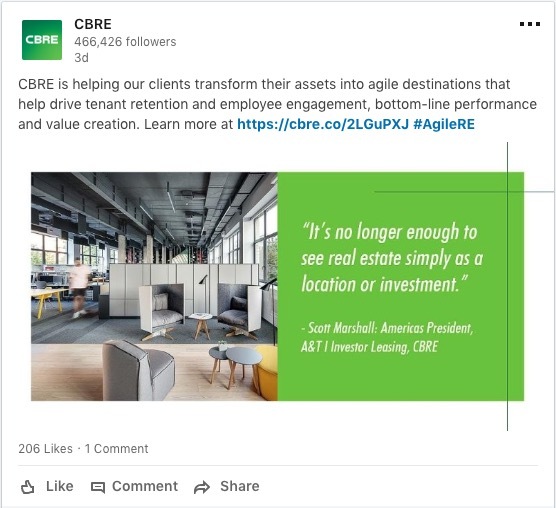 Savvy commercial real estate professionals are also using social media to spark conversations and facilitate connections with potential customers and partners. Twitter, Linkedin and Facebook are the most relevant social networks for commercial real estate, and where your company should be most active. Another way to raise awareness and acquire visits is through performance-based advertising campaigns on Linkedin, Twitter and Facebook. These platforms can offer very laser-targeted campaigns, allowing you to select who, when and where your Ads are displayed. For example, if you are leasing a life science property you could launch a campaign targeting C-level executives in the bioscience industry in a specific geography. Building relationships with influencers, journalists and bloggers can pay off big. Outreach takes time but press mentions can help propel your brand awareness and have a massively positive impact on your marketing efforts. Having your own “black book” of influencers is a key asset and will save you thousands of dollars in PR agency fees who essentially spend most of their efforts around outreach. There are 500 million searches on Google every day and chances are that your clients are searching for keywords related to your property or business right now. Google Adwords is a very powerful acquisition channel to help you attract leads but real estate keywords can be very expensive depending on your target market. However, what’s great about Adwords is that you can specify your Ad budget to whatever you feel comfortable with and stop at anytime. Display advertising comes in different formats and can help raise brand awareness and impact thousands (or millions) of people very quickly. Working with Ad networks like Adwords will provide you with very granular targeting and allow you to decide what websites you want your Ads to appear on. Remarketing goes beyond simple display advertising. When a user visits your website, a cookie is dropped on their computer so you can target them and show relevant Ads when they browse on different websites. This can be an effective way to stay “top of mind” and drive visitors that engaged previously back to your property listing or company website. Commercial real estate events are a great opportunity to network, build relationships, generate leads and expand their knowledge about the industry and market trends. Commercial real estate trade journals and online publications are read daily by thousands of potential investors, brokers and other industry peers. Almost all industry journals offer advertising opportunities to help maximize your exposure in front of a large, national audience or a more focused regional segment. The most critical component of a success commercial real estate marketing strategy is measuring the success of your activities. Define key metrics for each of your marketing channels, setup a real estate marketing report, and make data-driven decisions to continuously improve your efforts. Don’t let your strategy get stale. You should constantly be testing ideas and tactics to see what works and, more importantly, what doesn’t have any impact. Most importantly, don’t lose sight of how your marketing strategies impact your business objectives. If you can’t quantify the direct or indirect impact on your lease-up, sales or tenant retention efforts (or whatever else) then you need to go back to the drawing board. If you want to create an effective commercial real estate marketing plan, you need a systematic approach that defines the overall strategy, objectives and key metrics for each key channel you want to engage in. The following real estate marketing plan template is an Excel spreadsheet that will help you organize all of this. Just what i was looking for & more… thank you! Marketing plays crucial role to boost the productivity of the business particularly in the real-estate business. Conventional way of marketing is not effective anymore. Better utilization of the internet for marketing purpose could enhance the business productivity. Social media could be used as a tool to extend the market accessibility. Apart from this, websites should be properly optimized according to the search engine ranking factors to get better rank. Website with better rank could attract more traffic and hence could enhance the visibility of the website which leads to increase the market share for the business. Great summary on where to focus your efforts with CRE marketing strategies. Very few marketing companies cater specifically to the CRE industry. Even though the industry is really in need of new and helpful advice. Keep up the good work! Here you can find more information about commercial real estate marketing , relevant points thanks for sharing. Are there any statistics around what is the average % increase in sales related to creating a robust marketing plan for example investing optimizing a commerical real estate webiste to attract more customers?